They came from near and far, flying into Kuala Lumpur, Malaysia - forty eight professionals, doctors, architects, teachers, businessmen, bankers, stockbrokers, contractors, housing developers, hoteliers and housewives from as far away as Canada, Mexico, USA, UK, Norway, Russia, Austria and Japan and from closer to home, Mauritius, India, Indonesia, Philippines and Singapore to join ten Malaysians - making up a truly cosmopolitan Master Practitioners Class of March 2005. The diversity of backgrounds enriched the class tremendously, contributing to the learning experience. Lillian Too's reassuring words at the start of the week put many nervous beginners at ease and by the end of Monday, despite jet lag and insufficient sleep suffered by those who had flown from half way across the world, almost everyone had settled into the special rhythm of absorbing feng shui knowledge amidst the relaxed ambience of WOFS.com's in-house course area. The mornings flew by with generous coffee breaks, the lectures specially designed to coax maximum absorption by the students, interspersed with laughter and case examples. Lillian's teaching style has over the years endeared her to her many thousands of students, many of who recall with affection Lillian's sense of humour, sensitivity, and seemingly endless stream of anecdotes and stories. 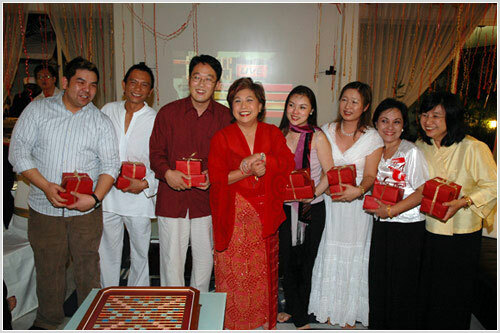 Most had come to seek out Lillian to be their feng shui mentor and teacher because they had benefited substantially from using the feng shui contained in her books. Many shared endearing and uplifting stories of how having been down and out, feng shui helped pull them through and helped them move on to greater and better things. Rajiv Patel from India spoke of having come near to bankruptcy then using feng shui to give him the edge in pulling himself up and then going on to become a successful property developer; Ruben Alberto Santos Martin del Campo from Mexico whose life was near rock bottom when he discovered Lillian Too's books today runs a thriving contracting business in Texas and Mexico City; Evgeniy Migirov and Rita Digilova, originally from Russia and now living in New Jersey USA, whose business soared and expanded by leaps and bounds after they began putting Lillian's advice into place and Cecilia and Geir Reimstad from Norway who desperately wanted a child and succeeded after taking Lillian's advice. The beautiful Cecilia glowed with happiness all through the six days at class. Others who found their way to Malaysia were guided by their own karma. Take the case of Shireen Tanumihardja who came from Singapore. Lillian agreed to share a beautiful letter she received after the Course from Shireen. 'It was a letter that really inspired me and reaffirms for me that what I am doing is really beneficial,' said Lillian. Another class member, Rosalie Taddeo, a retired accountant who lives on a magical property in the forests of Oregon, USA in a new home she recently built confided that Lillian's hospitality and lectures were a most positive experience and that she was most humbled by the knowledge she had gained. The course program found favour with every member of the class, from the lectures to the case studies, from the excursions and outings to the syllabus covered. Many considered the highlight of the course to be the visit to Lillian Too's home where each could feel and savour the special energy created. 'Her home is truly a showcase of superb feng shui and everyone entering her home can feel the welcoming chi,' one student enthused. 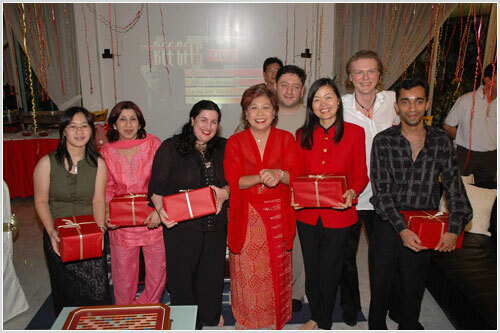 Most left with a vow to return to 'beautiful Malaysia' and some are planning to return as early as mid-July for the advanced Master Consultants Course. 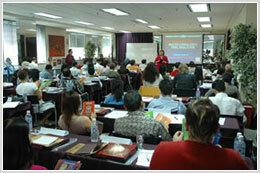 This MPC has been a very informative and rejuvenating experience for me. Having said that, I think you are humorous in your lectures that lighten up our motivation to pursue feng shui as a career for me. 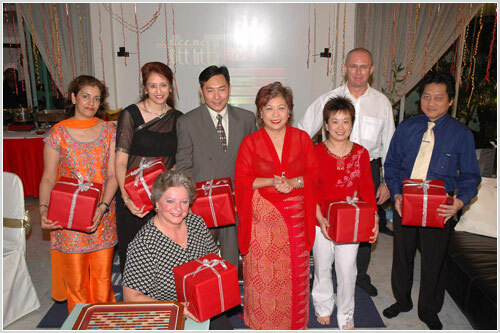 Thanks for all the work you have done to pursue the 'World of Feng Shui that has created the awareness in the world of energy. A million thanks for a most stimulating and satisfactory experience, but most of all for your generosity in sharing your wisdom. Wish you best of luck & prosperity! It was excellent to know you and all your staff. I greatly enjoyed this week and I want to thank you all for that. The knowledge you shared with me give me peace of mind and helped me settle my spirit for good. It was a pleasure learning from you! You were too kind to impart all the knowledge you have without holding on to it! Dear Lillian, This week has been a wonderful experience and it's really opened my eyes to the real world of feng shui. Thank you Master Lillian and may god bless you always.